You try to eat right and you work out, even doing those core exercises that are supposed to target your belly rolls. You even follow different weight loss plans. But you don’t seem to have any success – nothing seems to get rid of that stubborn belly fat. You’re left wondering how to lose that belly fat and whether you’ll ever be able to. You’re not alone. Just take a look around at your neighbors, co-workers and people on the street. It’s easy to see that the area around our belly is a magnet to fat. Why is that? And can anything be done about it? Why Is It So Easy to Gain Belly Fat? Before you know it, you have a bit or a lot around the middle. You were just living your life, and your pants got a little more difficult to button up and you started to notice that muffin top spilling over the sides. It happens to the best of us. But how did it happen so easily? Why does fat seem to jump to your belly first? Part of the reason is that it can be hard to tell how much fat is in your belly area since it goes deeper in your body. There are also certain factors that can help the fat along. When you eat too much of certain foods, such as carbs, they can show in the form of belly fat. Another biggie is stress, which can directly lead to belly fat by releasing the hormone cortisol. Cortisol isn’t a good friend because it moves fat, often to the belly. There can be other culprits helping this fat settle too, such as heredity and hormones. Once these factors team up against you, now you’re left looking for ways to lose belly fat. Why Is Losing Belly Fat So Hard? We know how hard it can be to get rid of that belly fat once it starts collecting around your middle. But it’s not your fault. There are real reasons why it’s so difficult. Your belly includes a different type of fat than other areas of your body — belly fat is called visceral fat and it snuggles around your organs. The nature of this type of fat makes it harder for your body to move and use, which would get rid of it. So you’ll probably see fat in other parts of your body burning more easily and quickly, since it’s easier to burn. If it’s so hard to get rid of, is it actually possible to lose that belly fat? Yes. If you’re still asking yourself how do I lose this belly fat, then you simply haven’t found the right way to target it yet. But there is a way to do that. Our doctors at True Weight Loss Solutions came up with a method that targets the fat all around your body on top of specifically blasting that tough belly fat. True Weightloss Solutions solves the problem of how to lose belly fat. We teach you to eat differently to combat those foods that are contributing to your belly fat. We also help you teach your body to use fat differently, so that your body understands you want it to use fat as energy more often than using its go-to energy source, carbs. Even if your fat came on because of stress or heredity, this plan can still get rid of that fat. And by encouraging your body to burn fat through an eating plan and supplements, you can jump over the hurdles holding you back from losing that stubborn fat around your belly. This weight loss plan changes the way your body uses food, moving away from the kind of diet where your body needs tons of carbs to function to a diet where it fuels itself by using fat more often as an energy source. On top of that, one of the supplements we include in our Chattanooga weight loss plan is an FDA-approved fat loss activation complex that helps target that pesky stomach fat even more, helping it burn off more easily. This plan also addresses the problem that so many methods suffer from: telling everyone to follow the same weight loss rules. Not everyone has the same body or lifestyle, so why would the same weight loss rules apply for everyone? They don’t. That’s why we tailor our program to each person’s needs after doing an assessment of your health and lifestyle. This plan helps you see your goals through to the end with guidance from doctors and support from other Wellness Warriors on the same journey as you. The plan also includes a transitional period at the end that helps keep you from getting the belly fat back. When you’re looking for the best way to lose belly fat in Chattanooga, follow the local people who have done it before you. So many people have had success with True Weightloss Solutions who are just like you and couldn’t lose the fat with other methods. All you have to do is look through our testimonials , YouTube videos and social media posts to see that this program has helped so many people get rid of their belly fat and fat all around their bodies. Why Is It So Important to Lose Belly Fat? True Weightloss Solutions can really improve your life by reducing your belly fat. Of course, belly fat isn’t the greatest to look at. And it makes it so clothes just don’t fit or you don’t feel confident in them. It’s uncomfortable to have that waistband sticking into your body, and you might even need to unbutton the top or go for elastic. We’ve all been there. But beyond that, you’ve probably heard how bad belly fat is for your health. 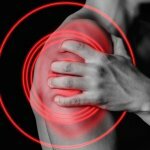 Fat in this spot is even worse than fat in other parts of your body. Remember that visceral fat in your belly? Your body ends up getting chemicals and toxins from this fat that can lead to inflammation, diabetes, heart disease and cancer. So it’s worth trying this weight loss solution to target the fat and improve your health. 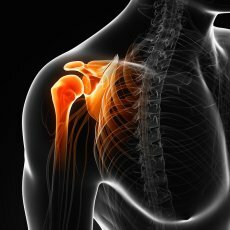 Still have fat around your middle that you’re trying to get rid of? You need to try this program because it really works. It doesn’t matter if you have a little extra fluff or a lot of inches you’re hoping to lose. Try this plan as the way to finally lose that belly fat. Yep, you read that right—a healthy Halloween in Chattanooga, not a happy one (not that we don’t hope it’s a happy time!). If you need to avoid the sugar rush for health reasons, or you simply wish to maintain a healthier lifestyle this weekend, you’ve clicked on the right article. Even though we’ve got lots of holidays that surround food, none is as easy to celebrate with healthy yet festive treats. What do we mean? Keep reading. Nothing makes a Chattanooga, TN chiropractor more proud than seeing his patients make an effort to stay healthy, even during times of national celebration. So to help all you patients of a Chattanooga, TN chiropractor stay on track, why not celebrate with fruit? It’s both naturally sweet and colorful, perfect for using as Halloween snack fodder. 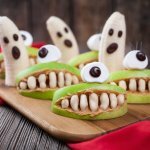 There’s a lot of creative things you can do with fruit to make your Chattanooga Halloween stay fun without processed sugar. For one, oranges. You can make tiny pumpkins out of peeled oranges, small or large, by sticking a short section of celery in the top. Pop some raisins in to add a face for an edible jack-o-lantern. You can do the opposite by hollowing out the peel of an orange and cutting out the traditional jack-o-lantern face (you can add candy inside to make it a perfect little party favor). 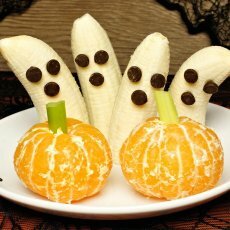 You can make the perfect little ghosts with half a banana and more raisins (or sugar-free chocolate chips)—ever thought about that? The possibilities may not be endless, but they are vast. Check out a slew of other fruit ideas on this Pinterest board . Likewise, there are lots of fun ways to make even vegetables appealing for a Chattanooga Halloween. Use your creative powers to turn boring, distasteful veggies into something you and your kids will be happy to eat. If you have a hard time getting enough vegetables in your diet, try making them look like monsters and ghosts! Pumpkins are a great place to start. They’re already a vegetable. You can gut them and roast the seeds when carving a jack-o-lantern, or you can paint them and bake the flesh for puree after the holiday. You can go full-on Halloween by making these “fingers” with peeled carrot sticks and onions for nails, perfect for a spooky party (and you might have a hard time getting guests to eat them!). Or you could try this veggie skeleton , complete with bell pepper ribs and cabbage hair. Get creative! You’re not limited to fruits and veg, though. You can stay in the Halloween spirit (pun intended) with all kinds of dinner and dessert foods. Make a “candy corn” quesadilla by subbing in a whole wheat tortilla in this recipe . Or make cheese into something fun with these string-cheese-and-pretzel “witch’s brooms” (scroll down for the English version). 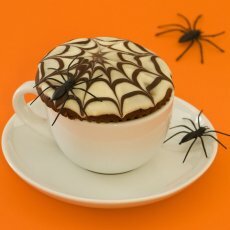 Even get in on the dessert section of the table with these gluten-free spiderweb cupcakes . There’s so much you can do. How do you keep Halloween healthy? Whether you’re looking to keep Halloween healthy with fruit, veggies, or both, we hope we’ve inspired you to make your Chattanooga Halloween weekend full of fun and well-being—instead of the roller coaster of sugar rushes and crashes. Find more Halloween snack ideas to make your Halloween complete in this Babble post . How do you like to keep Halloween healthy? Are fruit snacks your go-to? Or are vegetable trays shaped like skeletons more your thing? Leave us a comment to tell us your healthy Halloween plans!